No estate has everything, and Croick does not have driven grouse shooting. So if I want to indulge in driven grouse, which is very special, I have to head elsewhere. And I do, once a year, head down to North Yorkshire to small 4,000 acre moor which consistently shows large numbers of great birds. 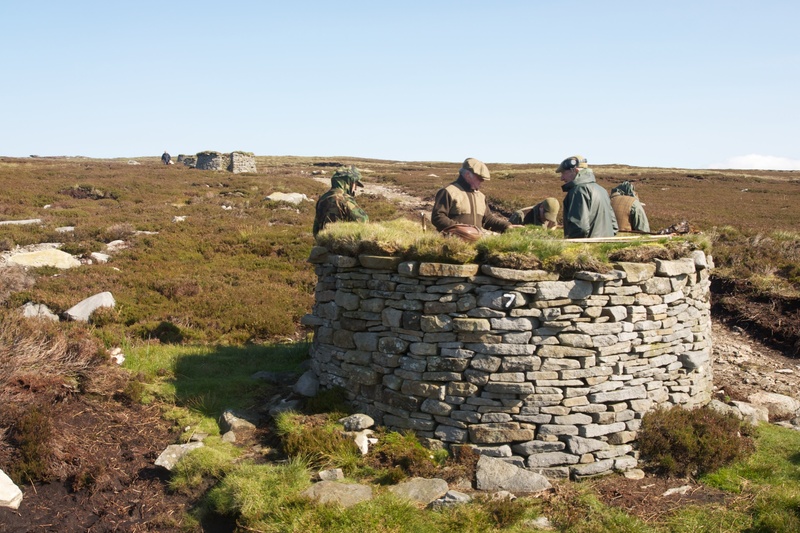 It is also beautifully prepared for grouse shooting as the circular stone butts shown above demonstrate. Standing in them feels more like being part of an ‘installation’ than a shooting day. We shot two days and both were characterised by very strong winds. As a result the birds were even more jet-propelled than usual, in one direction, and absolutely unwilling to fly in the other. In these conditions the keepers and beating team did a fantastic job to get birds over us, and the guns did a pretty reasonable job of shooting any of those which came. We ended up with about 75 brace each day which was a great result for all sides in the circumstances. This entry was posted in Uncategorized and tagged Croick, driven grouse, Grouse, Grouse shooting, North Yorkshire. Bookmark the permalink.